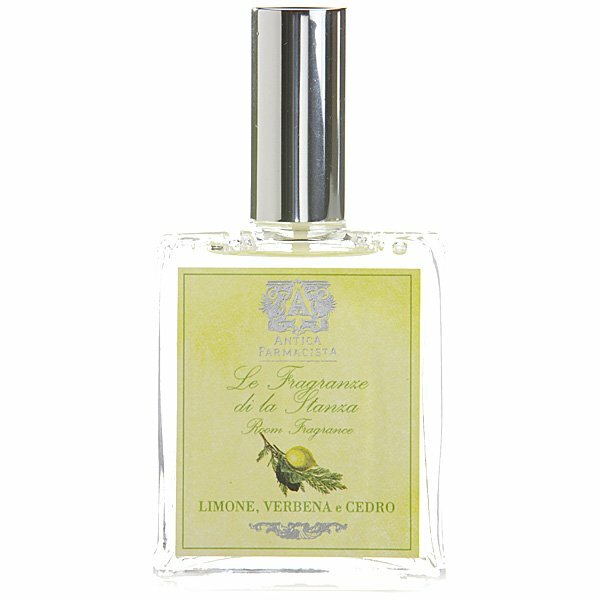 Antica Farmacista Lemon, Verbena & Cedar Room Spray combines invigorating notes of tart lemon, orange and lemongrass mingled with notes of fresh Italian verbena. White florals and the delicate earthiness of cedarwood round out this bright and complex citrus experience. Antica Farmacista's Room and Linen Sprays are a wonderful alternative to home fragrance. Packaged in a beautiful glass bottle, the high quality room sprays are formulated to be sprayed into the air or onto fabrics and linens to instantly refresh and set the mood in any room. Packaged in a crème box with Antica's signature label. Spray pump provides perfect diffusion, ideal for powder rooms and linens.